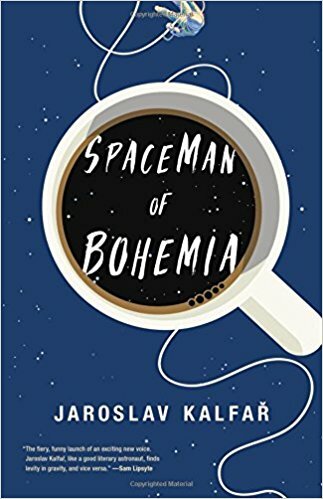 In this sort-of-in-the-present sci fi offering, Bohemia, (actually Czechoslovakia), has a space program, and chooses scientist Jakub Procházka to man a one-person probe to collect dust from the mysterious Chopra cloud. It is a four month trip out and four months back, and as he sits alone in the ship, he discovers that the vessel is what we in the Philadelpia/New York area would call a ‘price job’, a cut rate, low budget effort financed primarily by corporations. As he confronts his thoughts, we learn about his boyhood, his parents and grandparents. His father was a communist informer when the Soviets took over Czechoslovakia, going so far as to be head of a secret torturing operation. For this, in the aftermath of the war, his family is now vilified and reviled. Jakub falls in love with the lovely Lenka, they marry, and are distressed to find they cannot conceive. This seems to start a crack in the marriage which gets ignored in the excitement of Jakub going into space. Once launched, they have a daily video call. After a number of these, she stops coming to the mission headquarters for the calls, and Jakub is left frantic, wondering why and whether she has left him. Into this appears a creature in his space ship, a scritching, a noise, which eventually appears. 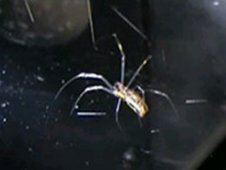 It is a spider. He thinks it is a hallucination born of his solitude, possibly an early sign of his going mad, but it is not in fact a hallucination. It is in fact an alien, who speaks to Jakub in his head. It is the last of its kind, searching for a place to end. It develops a passion for Nutella, and over the months, they two become fast friends. Just a couple of quotes from this cerebral musing on life, death, and the necessity of keeping on keeping on. This is what elements do. They leap into darkness until something else catches hold of them. Energy has no consciousness. Force plots no schemes. Things crash into one another, form alliances until physics rips them apart and send them in opposite directions. She wondered why so many things in the universe were circles. Planets and stardust and atoms. I had traveled through space, I had seen truths unparalleled, but still, in this Earthly life, I had barely seen anything at all. Something rests in the mortal soul, hungry to feel anything and everything in its own boundless depths. As boundless and ever-expanding as the universe itself. An unexpected kind of sci fi tale, less action, more pondering, but compelling nonetheless.